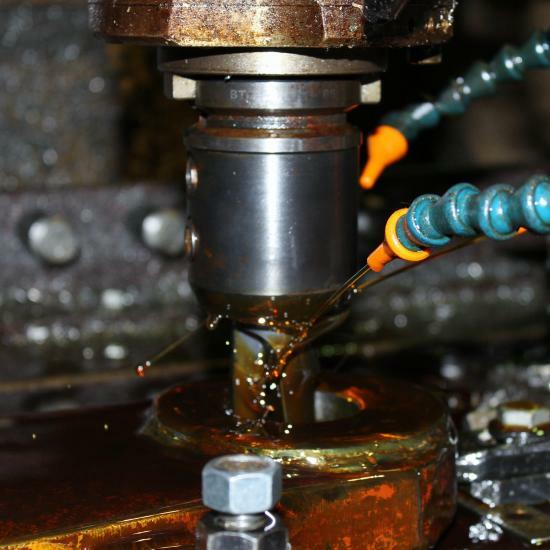 AeroMet utilizes CNC turning and milling equipment for both primary and secondary machining operations. Our CNC machines, Slant Bed Turning Centers and Vertical Machining Centers, can be used for drilling, keyway cutting, milling, slotting, tapping, turning, threading, and boring, in addition to several other operations. Several of our Vertical Machining Centers are capable of machining travels of 40 inches wide, and 20 inch deep area. Two of our machining centers can accommodate 60 inch wide, 30 inch deep area. Material size can exceed these dimensions. The Slant Bed Turning Centers have a 1 3/8 inch bar or 6 inch chucking capacity.